Conserve wetlands, riparian areas and associated wetlands. Capitol Land Trust is the owner of this nearly 10 acres of important riparian and instream habitat just below the old Goldsborough Dam site. The Goldsborough Dam was removed in 2001 opening up 25 miles of stream channel to fish access. 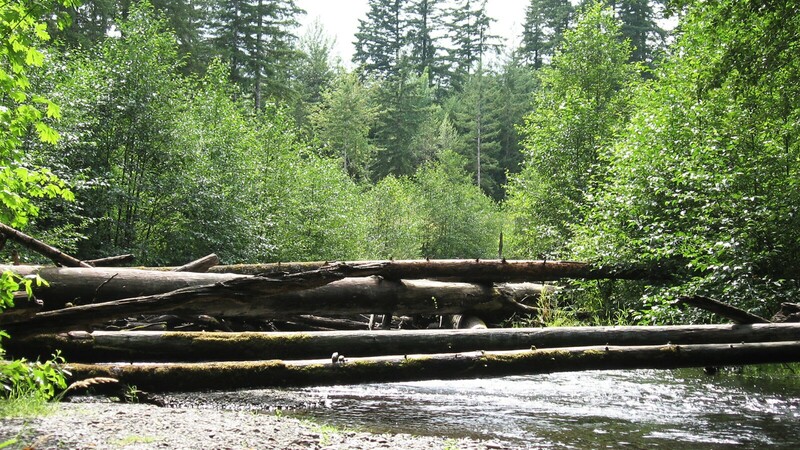 The property purchased by Capitol Land Trust forms a high quality, migratory corridor for several salmon species, providing access upstream to this new, very productive habitat. More than 2/3 of the coho in the system now spawn past the property and into the upper watershed. Since the dam was removed, coho smolt production has increased from a few thousand per year to tens of thousands per year. The property is directly adjacent to a 60-acre property owned by Green Diamond Resource Company and just downstream of two other Capitol Land Trust sites. Together these parcels form a large complex of conserved property at a critical juncture in the watershed. 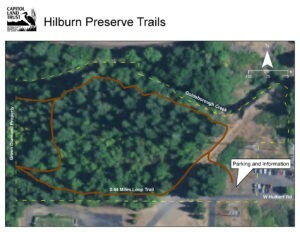 Plan a visit to Hilburn Preserve to enjoy the scenery and wildlife!